Driving around at Christmas is one of the small things that adds to the overall brilliance of the holiday season, as in doing so we’re able to see so many incredible light displays among the neighbourhoods. These e Christmas cards for business are an example of exactly that. As we all know, many of us choose to decorate our houses with all kinds of lights and decorations over the holiday period every winter. 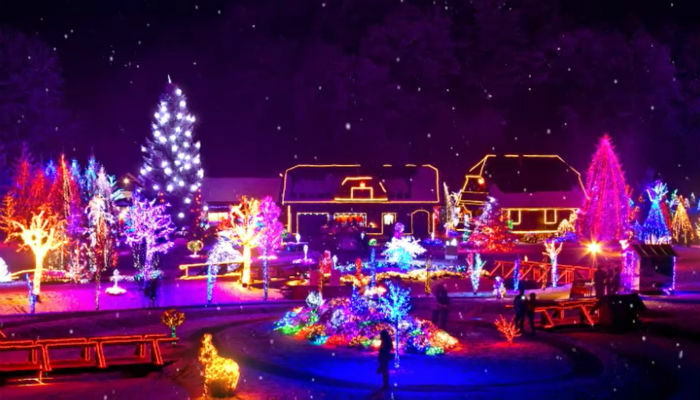 ‘Christmas Village’ showcases one particular example of this in action. Shot at night, the photograph used here shows a number of buildings covered in festive decorations; windows are lined with gold, and trees sit brightly with lights strung all around them. It doesn’t stop there: in front of the buildings, the garden is a true winter wonderland, complete with figures, reindeer, and an enormously broad range of colour. Animated effects add even more sparkle, as lights on the trees glisten under the night sky. A message entirely of your choosing sits at the top of the image, too, giving you that personal touch that your recipient will appreciate. The Christmas Village Christmas ecards for business is a grand example of how many of us embrace festive cheer in dazzling, exciting ways.